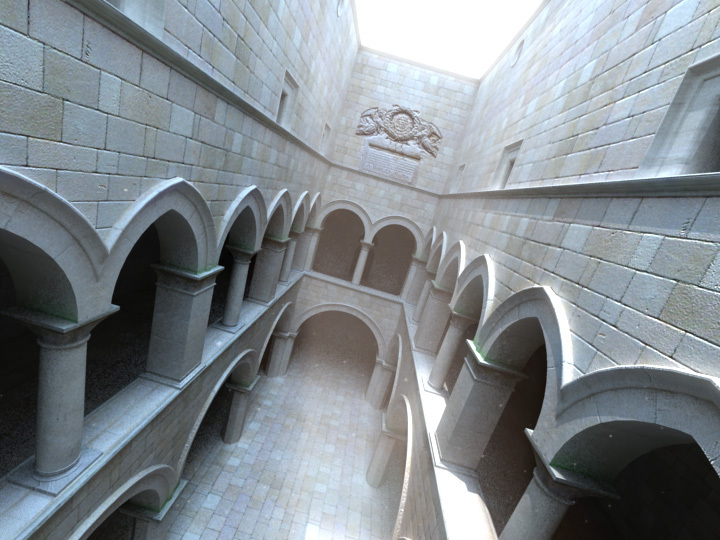 The Atrium Sponza Palace, Dubrovnik, is an elegant model created by Marko Dabrovic at RNA Studio. It was graciously donated to the public for a radiosity competition held by CGTechniques.com in 2002 and was kindly converted by Christian Bauer into numerous other formats (Max, 3ds, Dxf, Obj, Dwg, Vrml97, Mega Pov, Rhino) for use with various commercial 3D applications and renderers. 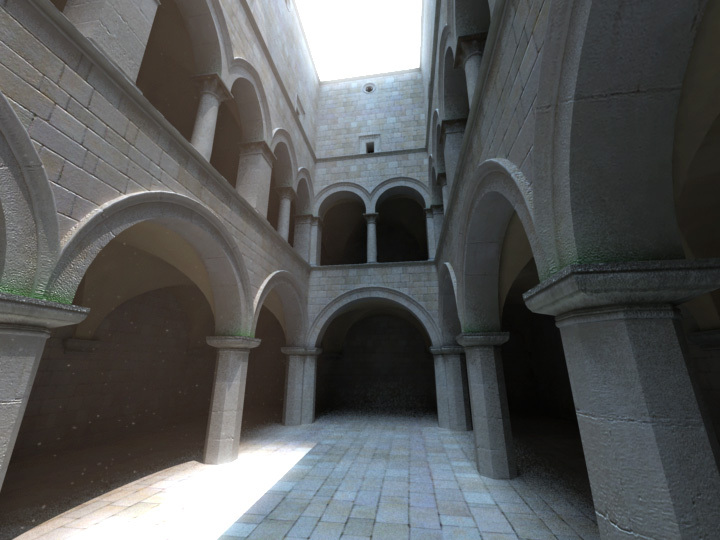 Over the years, the Sponza Atrium scene has since become one of the most popular 3D scenes for testing global illumination and radiosity due to it’s specific architectural structure which is particularly complex for global illumination light distribution. 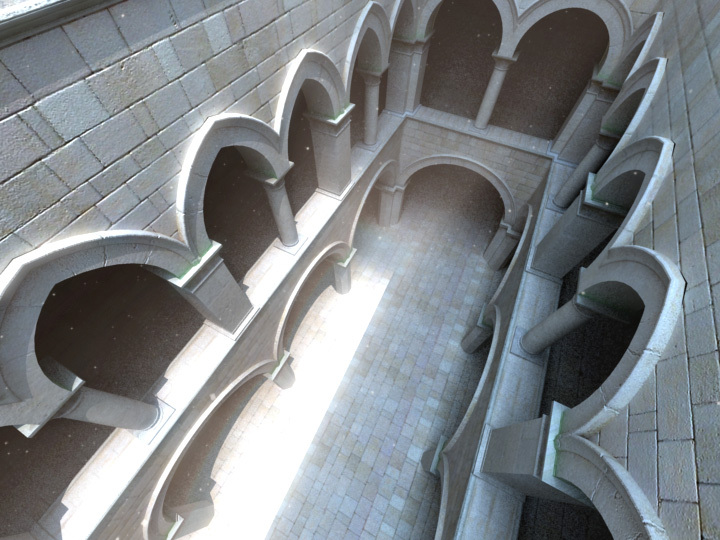 These are some tests using the Sponza Atrium Palace model, rendered with VRay. Unfortunately, I didn’t have much time available to invest in these so they were produced over the span of only several days. The images have been lit dramatically and rendered out in layers, then composited and treated with Photoshop. I would like to revisit these scenes in the future when I have more time. Each image was originally rendered at 720×540 on an Athlon 1.4GHz computer, with 512MB RAM. Modeled by Marko Dabrovic at RNA Studio. Lit, rendered and composited by Richard Rosenman.